When the knock came at Sarah and Matt Parsons’ home, the couple opened the door to find Washington State First Lady Trudi Inslee on the porch, eager to do her part to Sound the Alarm. There was no emergency – the First Lady was among a small cadre of Red Crossers taking part in the inaugural “Sound the Alarm” campaign that has seen more than 100,000 latest-generation smoke alarms installed in homes nationwide, including over 6,000 in Washington and other portions of the Northwest. Wearing her Red Cross vest, Mrs. Inslee toured the 110-year-old, split-level home on Graham Street with the Parsons, Red Cross volunteer Dawnmarie Cooper and Red Cross AmeriCorps member Anwishta Acharyya helping determine the best places for new alarms. “I just recently learned that you should get new alarms every 10 years,” Mrs. Inslee said. She recently went through her family’s personal home installing new alarms. Sound the Alarm launched in April with a goal of installing more than 100,000 lithium battery alarms that last up to 10 years. Mrs. Inslee is among more than 20,000 volunteers to participate nationwide. 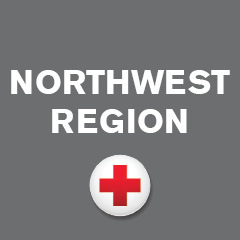 The success of Sound the Alarm is vital to Alex Dieffenbach, Red Cross Northwest Regional CEO. And having the state’s First Lady and long-time Red Cross supporter publicly backing the initiative is especially gratifying, he said. Homeowners Matt and Sarah are expecting their first child in the fall – and getting no-cost, new alarms installed is one less worry for the expectant mom. “As we add these layers to our lives it becomes so important to protect ourselves,” said Sarah. Matt Parsons added that with a baby on the way, he was glad to learn about the effort. After a successful installation at the Parsons’ home, Mrs. Inslee had one more gift for the couple — presenting them with a signed, 2017 edition of the annual storybook Gov. Jay Inslee pens for his family each holiday season,”Boy On a Bike.” Mrs. Inslee said she hopes the couple’s coming child will one day enjoy the story. In the meantime, the Parsons’ certainly have a memorable story of their own to tell.